One of the beautiful things about having a backyard is that it can keep children entertained for hours. From full blown jungle-gyms to simple bean-bag toss games, there are plenty of ways you can turn your backyard into a kid-friendly space. Check out these kid friendly backyard ideas for Tucson families. Kids love anything that makes noise, so why not set up a neat little music station in your backyard? Find an area where you can hang several different wind chimes and other musical materials like wind pipes made of wood, triangles and a couple of bongo drums. Your heart will melt when you hear your kids and their friends creating music in your backyard. Being a kid is a lot of fun! But it also takes a lot of energy. Create a secret space for your child to retreat to when they need a moment alone, away from the busy outdoor play world. Depending on the layout of your backyard, this could be a hammock beneath some trees, a cubby house, or a tee pee. You could even create a little house out of sunflowers (if you live in an area where they can grow well of course). 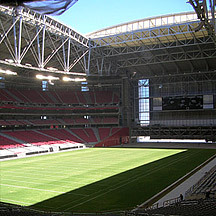 As a tip, if you're creating a hideaway that's going to be in the shade, it's best to remove the Tucson sod underneath. Otherwise, it won't get enough sunlight to grow and you'll end up with dead, patchy grass where your beautiful kid hideout is supposed to be. It's never too early to start teaching your child the importance of caring for the world's natural resources. Give your child their very own corner of your herb and vegetable garden. Have them choose the types of plants they want to grow and show them how to water and tend to the garden. They will love getting their hands dirty in the natural soil and learning about our wonderful mother earth. Make a sand box or mud pit where your children can get messy without worry. For young children, engaging in these activities activates all of their senses, which is important for brain development. If you don't want to create a permanent space like a sandbox in your backyard, you can always use smaller tubs like kiddie pools which works just as well. It's important for young children to be physically active, so having an area in your backyard for them to run, swing, skip, hop, jump and slide is essential. 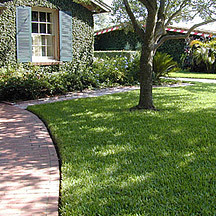 Take a look at your budget, as well as your backyard dimensions to see what will work well for you. 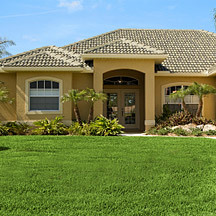 You'll need to consider your Tucson sod as well and decide whether you need to remove a portion of it and replace it with mulch for the playground / active play area. Finally, have fun with these projects, and make sure you take the time to also play with your kid in your newly designed, kid-friendly backyard. 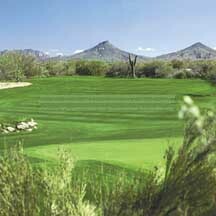 We've been providing Tucson sod to Arizona homeowners for more than twenty years. Contact us today.